Jamie Whincup believes the Newcastle street circuit will prove ‘a massive challenge’ for teams and drivers after seeing the layout for the first time. Whincup travelled to Newcastle for a media call this morning, but brought along engineer David Cauchi to suss out the 2.6km, 12-turn venue ahead of the November 24-26 event. Heading to the race meeting with a slender 30-point championship lead over Shell V-Power Racing’s Scott McLaughlin, Whincup notes that the new circuit contains plenty of places that could trip up his quest for a seventh title. “The track looks fantastic. 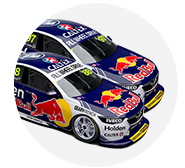 There’s been so much consideration for the drivers on making this place really good, not only as an event but a good race track with plenty of passing opportunities,” said Whincup. “The elevation has surprised me, that run up into Turn 2, you gain a lot of altitude and then hook back down the other side. “It’s going to be a nightmare to get right, believe it or not, it’s going to be really difficult to work out what the right lines are and how to set the car up, but that’s all part of the fun I guess. “There are plenty of spots on the circuit that could trip people up, without doubt,” he added. “There are a lot of braking zones that are turning and with our cars, braking while turning is quite difficult. “And then the terrain. In braking zones that drop away, it’s going to be really hard work, the drivers will have to be on their game the whole way around for 250km. Whincup’s visit to the circuit follows that of Red Bull team manager Mark Dutton, who spent last Wednesday assessing the pitlane and paddock area. McLaughlin and members of his Shell V-Power crew are among others expected to scope out the circuit later this week to help them prepare for the event. 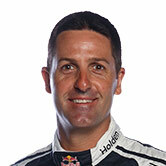 “I’d expect everyone to come down, have a look at the track and see what it’s all about,” said Whincup. “It’s a very, very important weekend for us, certainly for the championship contenders, but everyone in the field wants to win the first Coates Hire Newcastle 500.